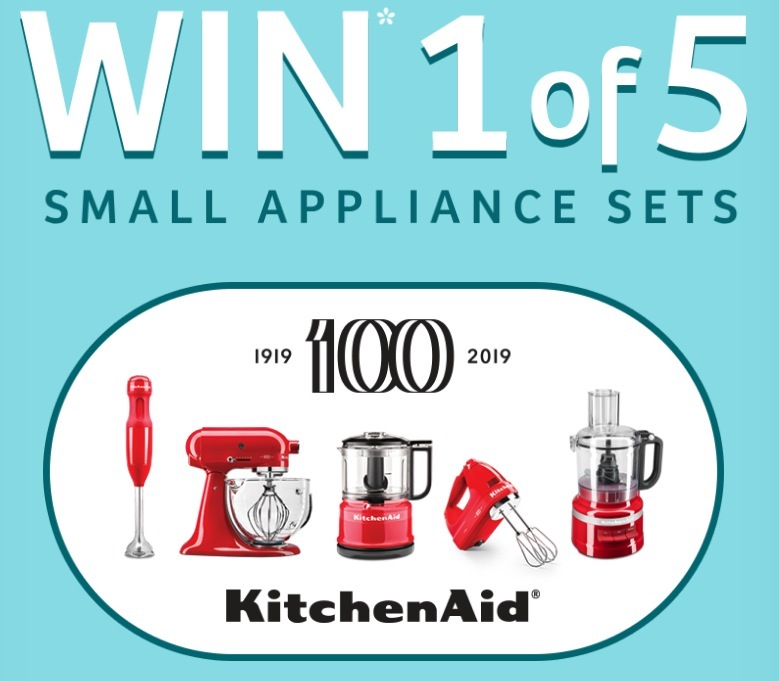 Enter the new Bake with Lactantia Contest 2019 for your chance to win 1 of 5 KitchenAid sets. This contest is open to all legal residents of Canada who are at least 13 years of age at the time of entry. To enter you have to purchase any specially-marked package of Lactantia butter and look for the PIN inside the package, then visit the official contest web site located at bakewithlactantia.ca and enter it along with the entry form filled out with the requested personal details, agree to the rules and submit it. The contest ends on June 11, 2019 at 11:59 pm ET. Winners will be selected by random draw from all eligible entries. The re is a total of 5 prizes available, each consists of a KitchenAid appliance set including valued at $910. The Bake with Lactantia Contest 2019 starts on March 20, 2019 and closes on June 11, 2019. The draw will be held on June 14, 2019 at 10:00 am ET. Winner will be contacted by email and phone.